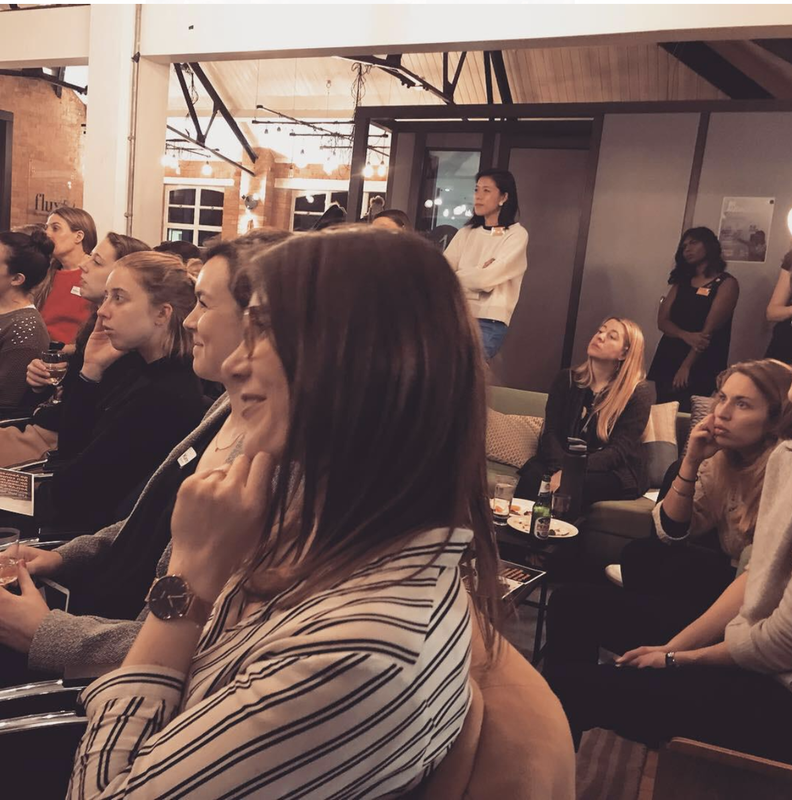 For the last WIN London event of the year, we gathered at Fluxx Studios to escape the cold outside and ignite a fire inside — this evening was about pushing our boundaries, taking risks and getting comfortable with being uncomfortable. Lucy Willett and Jenn Torry co-hosted the evening, kicking off with a quick introduction to how Fluxx uses experimental methodologies to test new product ideas. Sell their “fake product” to real people. And on this evening, the WIN community took a similar approach, not for new product ideas, but rather ideas for our own lives — ideas that that would help us to be even more audacious every day. Angela Maurer who spent 18 years at Tesco’s building technology and innovation capability from the ground up; she’s now doing this in a completely new sector, and is a role model for innovation, doing it all with young kids at home. Bonita Norris who at the age of 21, became the youngest woman to climb Mount Everest and the North Pole Summits and is pushing the boundaries for adventuring and modern day mountaineering. Be the first. What can you do that no one else can? Do that thing and be the first one on your team to do it. If it doesn’t exist, create it. When Angela came back to work, her role as she knew it no longer existed. So she had to totally redefine it, and that was the beginning of her career in innovation. Be a role model for your kids. ‘As a mum, you’re a role model for your kids long after you leave the house in the morning’. Her story of setting up coding workshops for kids and and setting up Tesco’s first Lean In Circle left the room thinking differently about the example we can set for others. As someone who never even thought about climbing until a year before she summited Everest, Bonita Norris shares her awe-inspiring lessons from her journey before, during and after one of the most audacious decisions she ever made. Say yes first, and worry about how you’re going to do it later. Climbing Everest isn’t just a physical challenge, but a financial one too. Bonita related how she took the plunge to join the team with no idea how she’d raise the £50k required. And with less than 24 hours before deadline, creativity kicked in and she pulled it out of the bag. Just start. With absolutely zero climbing experience, and having committed to the biggest physical undertaking of her life, Bonita reminded us of the importance of simply starting. What’s the smallest thing you could do to move forward? Take the first step and don’t overthink it. Cling on to the spark. Always remember the reason why you began. Bonita shared the feeling that washed over her when she listened to an Everest veteran speak about being able to see the curvature of the earth from the summit. It was that inspiration she held onto during the toughest moments. Ignore your inner naysayer. Don’t let yourself believe ‘I’m not that sort of person’. Anyone can reinvent themselves at any point in their life. Embrace your sweaty palms and racing heart. ‘This is not your body saying you can’t, this is your body preparing you so that you can’. In a jaw-dropping story, Bonita shared her experience of crossing a crevasse in the death zone with a broken ladder. She used the adrenaline pumping through her veins to get her across. 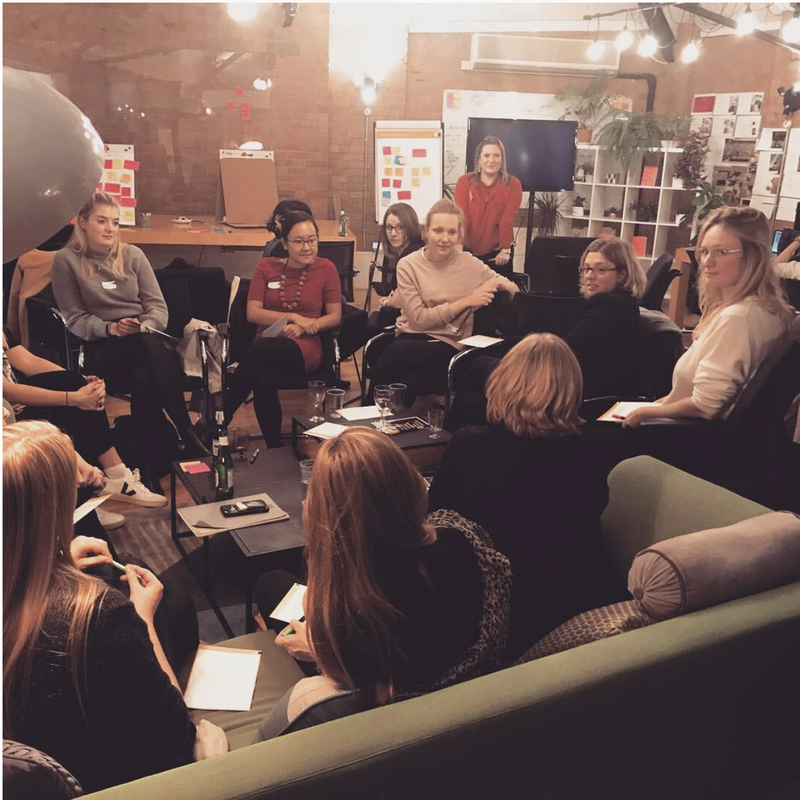 Following the talks, the Fluxx team facilitated an interactive session to co-create the ‘manifesto of an audacious woman’ taking principles from Angela and Bonita’s stories as well as stories from our own lives. Next, living a Fluxx value, we “started by starting” in an exercise to explore each of our next audacious moves. Fluxx moderators led the community in designing an experiment to test our existing assumptions about the ideas we wanted to try. The community shared audacious next moves, from reading an original poem in front of a crowd to asking for a higher salary. What’s important is that this group of women walked out with a plan of action. Something they could start tomorrow. Next time you’re wondering whether you should take that scary step, whether it’s something that “people like you do” or whether you should just say yes, we encourage you to design an experiment. Work out your assumptions and take the smallest next step to test whether they’re true. 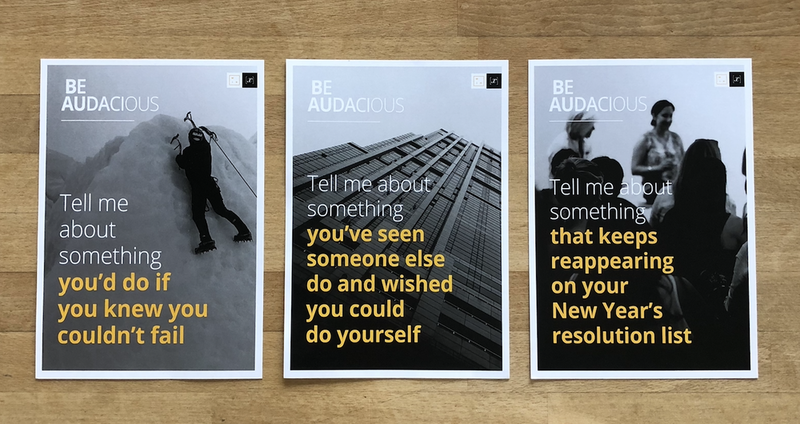 You might just surprise yourself about what you’re capable of if you’re just a little more audacious every day.